In 2015, Rolex presents new versions of its quintessential Oyster Perpetual Model, introducing an entirely new 39 mm size as well as exclusive new dials for the 26, 31and 34 mm sizes. 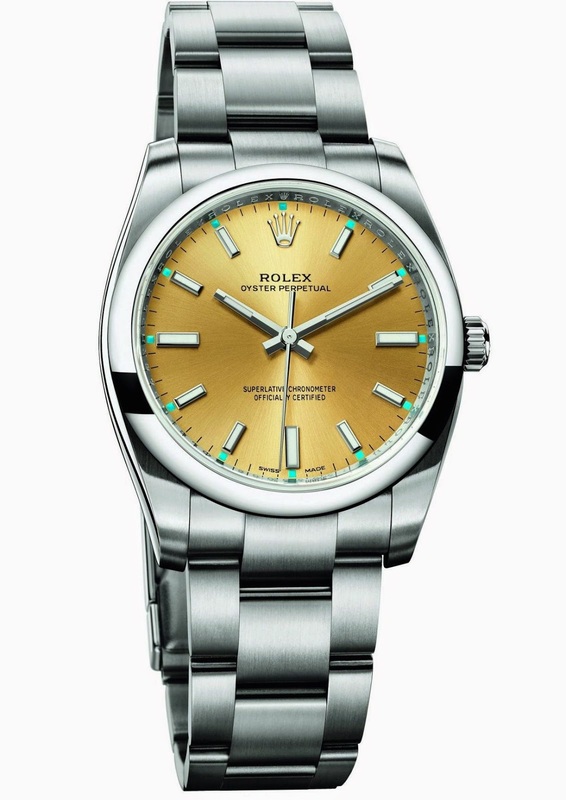 These new versions join the 31and 36 mm Oyster Perpetual models unveiled in 2014, creating an entire family of different sizes and attractive dial colours for a model that affords full access to the Rolex legend. The red grape colour is available in each of the sizes – 26, 31, 34, 36 and 39 mm, providing a common thread throughout the family. 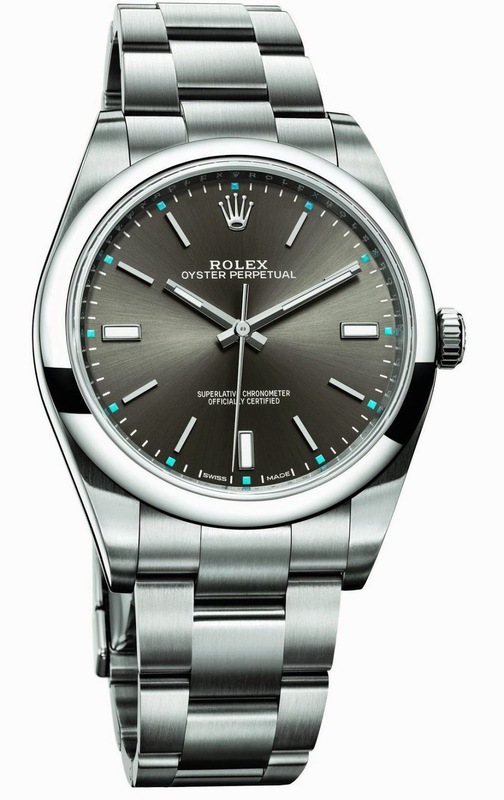 The new Oyster Perpetual watch is the direct descendant of the original Oyster launched in 1926, the first waterproof wristwatch in the world and the foundation on which Rolex has built its reputation. It comprises the renowned Rolex waterproof Oyster case and Manufacture mechanical self-winding Perpetual movement. An officially certified chronometer, the Oyster Perpetual is endowed with all the fundamental attributes of the Oyster collection. This timeless model stands out with its eye-catching new dials in elegant and sporty colours. The Oyster Perpetual’s Oyster case, guaranteed waterproof to a depth of 100 metres (330 feet), is a paragon of robustness and reliability. 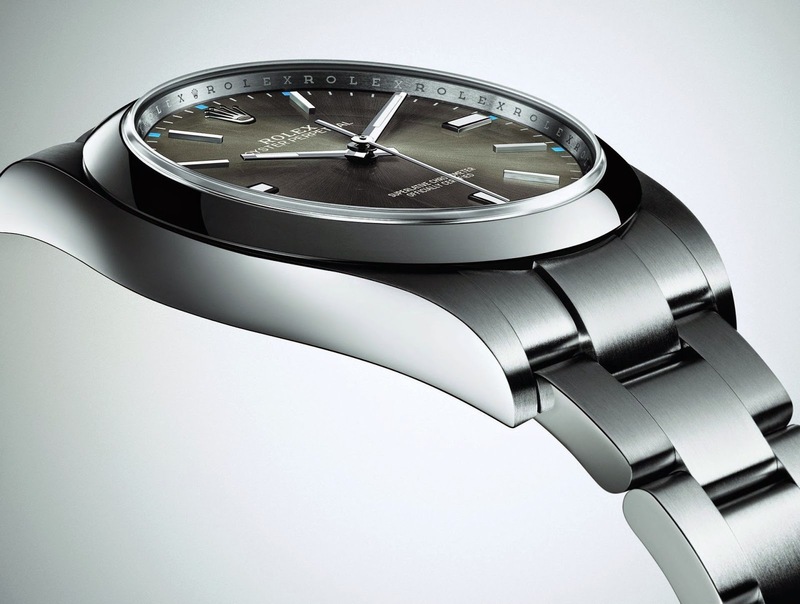 The characteristically shaped middle case is crafted from a solid block of particularly corrosion-resistant 904L steel. The fluted case back is hermetically screwed down with a special tool that allows only Rolex watchmakers to access the movement. The winding crown, fitted with the Twinlock double water -proofness system, screws down securely against the case. The crystal is made of virtually scratchproof sapphire. The waterproof Oyster case provides optimal protection for the high-precision movement. 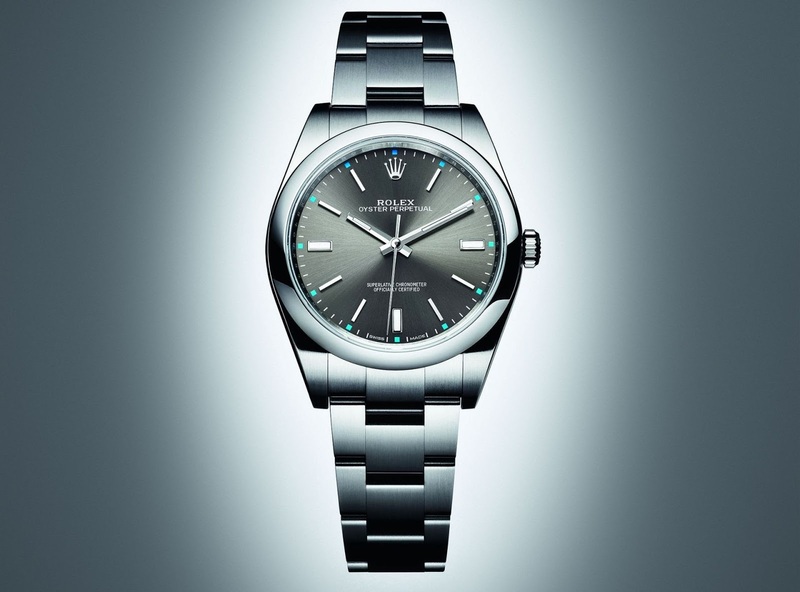 According to its size, the Oyster Perpetual is equipped with either calibre 3132 (39 mm version), 3130 (36 and 34 mm versions), or 2231 (31 and 26 mm versions), three self-winding mechanical movements entirely developed and manufactured by Rolex. 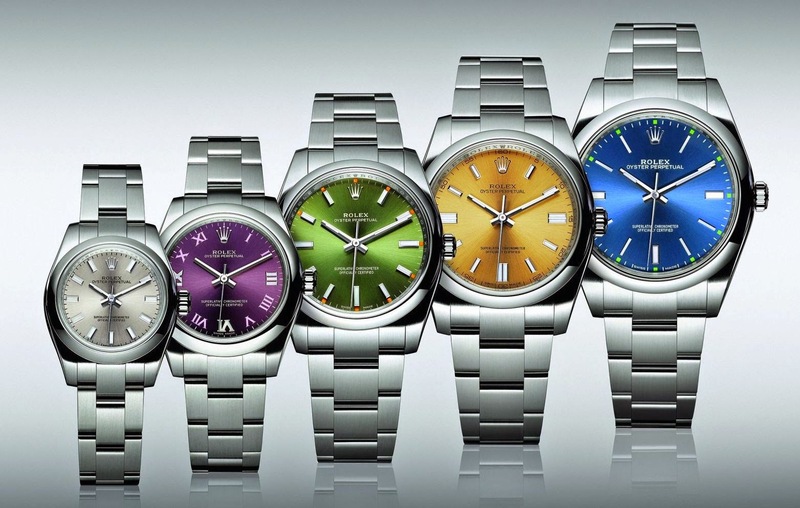 The high-quality design, manufacture and fine-tuning of Rolex movements ensure exceptional performance. Each movement is a certified Swiss chronometer, a designation reserved for high- precision watches that have passed the Swiss Official Chronometer Testing Institute (COSC) tests. In calibres 3132 and 3130, the oscillator has a blue Parachrom hairspring patented and manufactured by Rolex in an exclusive alloy of niobium and zirconium. Insensitive to magnetic interferences, the Parachrom hairspring offers great stability in the face of temperature variations and remains up to 10 times more precise than a traditional hairspring in case of shocks.